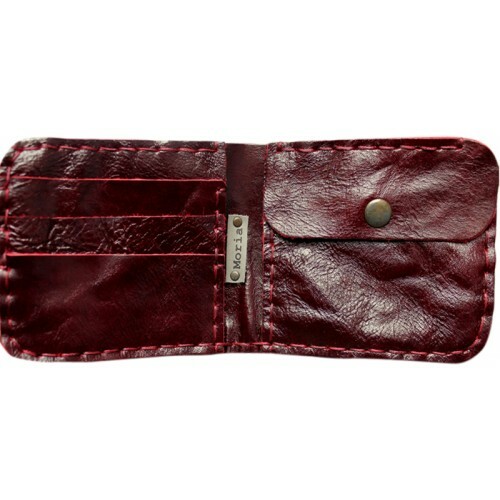 Brown leather wallet for man/woman is designed and hand sewed from remaining leather pieces by Moria. Moria means "idiocy" in Greek. The owners of Moria, Arzu Ogan was working as a teacher and Sinem Yaylacı was an engineer indeed. After resigning, they found Moria together. They are sewing the remaining pieces of leather to form a wallet, key holder, card wallet or a book cover. The products are totally handmade.